This is one of my favorite sedums. 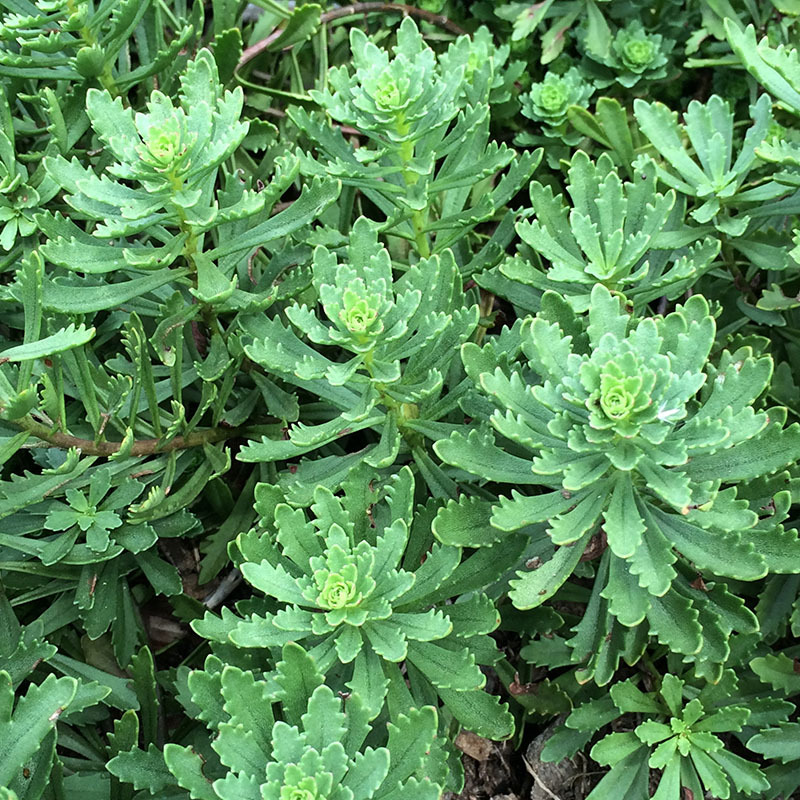 It makes an excellent low-maintenance groundcover without any pushiness toward other plants. 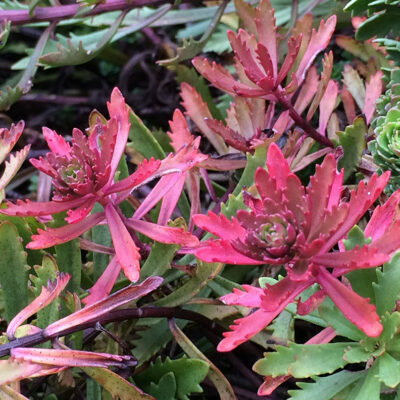 Yet, this sedum happily protects the ground from invading weeds, while visually supporting its neighbors. Looks good year-round with pleasant green, tidy foliage and sunny yellow flowers in summer. In the fall it turns deep red. The leaves drop in winter, and garnet-colored rosettes remain. Full sun. Good-average drainage. Height 4″. Spread 8″. Deer resistant. Zones 4-9.